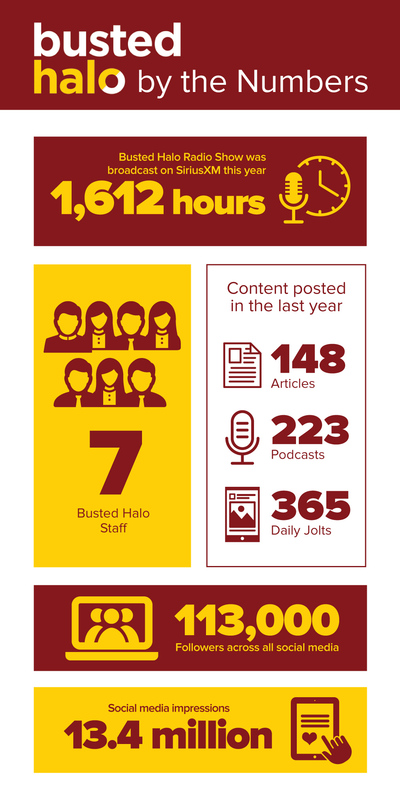 Every day of the year, Busted Halo fosters a community where thousands of people explore their questions of faith and provides a “welcome back” to the many who return to their Catholic faith because of our ministry. We pledge to be here when you need us, but we need you too. 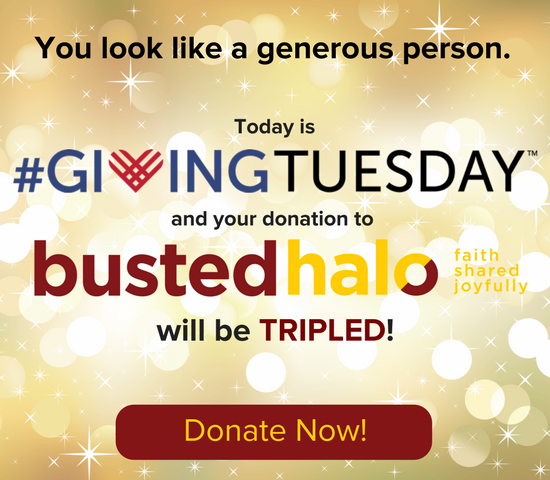 Please consider a gift that will help support Busted Halo. Our goal at Busted Halo is to make sure the Church does not forget about those thousands of people who are searching for God’s love and mercy. Every day we make their challenges our challenges and, in turn, offer them the great hope of Jesus Christ. It’s your gifts and support that truly make our mission possible. In order to continue to provide the network of media and ministry you and so many of our readers and listeners have come to value, we need to ensure that our welcoming community continues to flourish. Remember, all donations are tax-deductible. Thank you for your support and generosity! I consent to Busted Halo collecting my personal information for the purpose of processing my donation.